A relaxed shopping atmosphere and free booze are the main draws to this unique event. 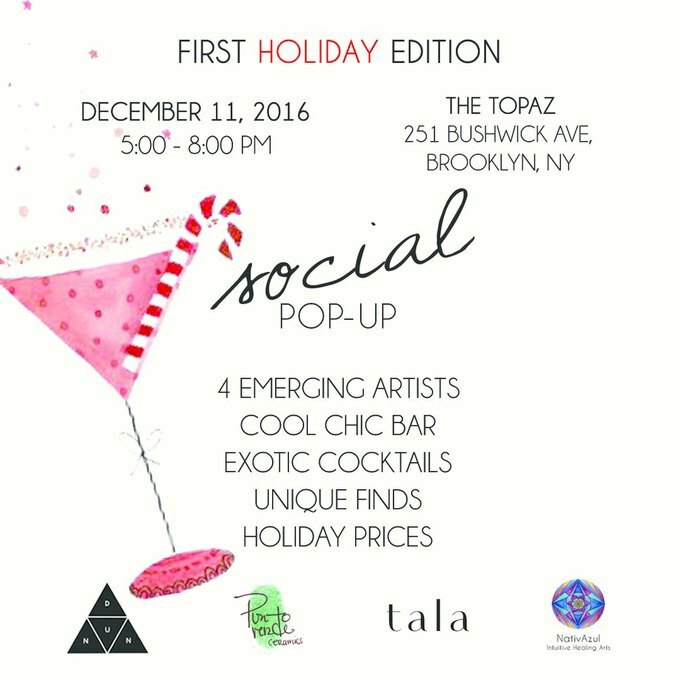 If you're looking for a more personal way to shop for holiday gifts, pop into The Topaz, one of the most beautiful bars in the neighborhood, on December 11 to mingle with four Brooklyn-based artists while sipping some specialty cocktails. Organizers of the aptly named Social Pop-Up wanted "a pop up that is more like a gallery than a market— It is not just focused on selling/buying but also on getting to know the artists and meeting people," explain organizers Adrienne and Nathalie. 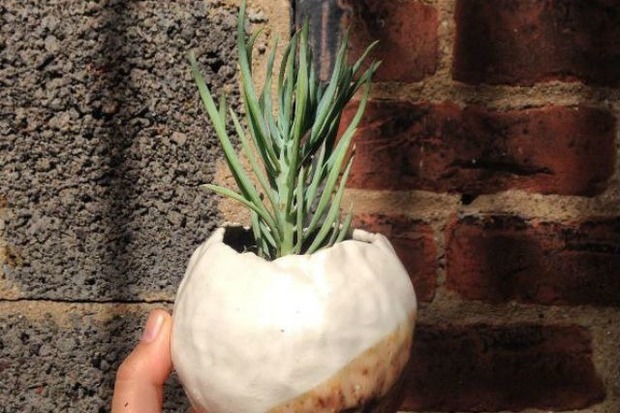 The artists/design outfits are Nativazul, Elizabeth Dunn, Tala, and Punto Verde Ceramics, and they'll all be on hand to chat about process and anything else that might come up in pleasant bar-time conversation. While the selection is limited, the bar will be open, and it will feature two specialty cocktails, which are also specially-priced at eight dollars. Spending $25 at the bar will get you a free drink of your choice, too. The unique set up might create a more intimate atmosphere than a traditional holiday market to chat with the people who are making gifts for your loved ones. That is, if your loved ones are into crystals, handmade leather goods, woven accessories, or ceramics. Featured image: Punto Verde Ceramics. Courtesy of @fernandauribeart on Instagram. Chill in a great new Bushwick bar, try a cocktail while enjoying their great patio.